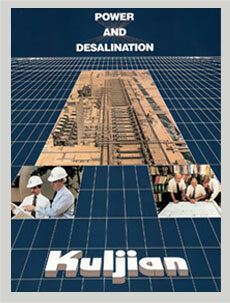 Welcome to The Kuljian Corporation. Since the inception of our company in 1941, we have been providing expert solutions to some of the most complex energy needs in the world. While our focus has been and continues to be on energy and power plant engineering, we as a multi-discipline engineering and architect firm has developed effective strategies for other projects as well, including desalination plants, air quality control systems (AQCS) and cement plants. Kuljian has proven time and again its expertise and professionalism with efficient designs and solutions that will result in saving you both time and money. In addition, we can assist in contract negotiations and contract document preparation, as well as monitoring and control of Construction Contractor's activities (construction supervision), start-up, and testing and commissioning. In addition to our Headquarters in Pennsylvania, we maintain engineering offices in Egypt, Bahrain, Saudi Arabia, Jordan, Kuwait and India. We have assembled a team of more than 400 of the finest consultants, architects, and engineers, with expertise in mechanical, civil and structural, and electrical engineering, as well as architectural, instrumentation and control engineering, and CADD design work. Kuljian have worked on domestic projects in many states, and overseas projects in more than a dozen countries, including Saudi Arabia, Jordan, Kuwait, U.A.E., China, Qatar, South Korea, Norway, Italy, Pakistan, Ireland, Sri Lanka, Syria, Oman, Yemen, Thailand, Spain, Bolivia, Indonesia, Bahrain, Republic of Georgia and Sudan. We invite you to explore this website to see for yourself some of the projects we've worked on, and how our global positioning makes us the ideal choice for your project.